Tucked away in northern Ophiuchus and well-placed for observing from spring through fall is one of the most remarkable objects in the sky — Barnard’s Star. A magnitude +9.5 red dwarf wouldn’t normally catch our attention were it not for the fact that it speeds across the sky faster than any other star known. Incredibly, you can actually see its motion with a small telescope simply by dropping by once a year for 2-3 years and taking note of its position against the background stars. For one amateur astronomer, recording its wandering ways became a 9-year mission. 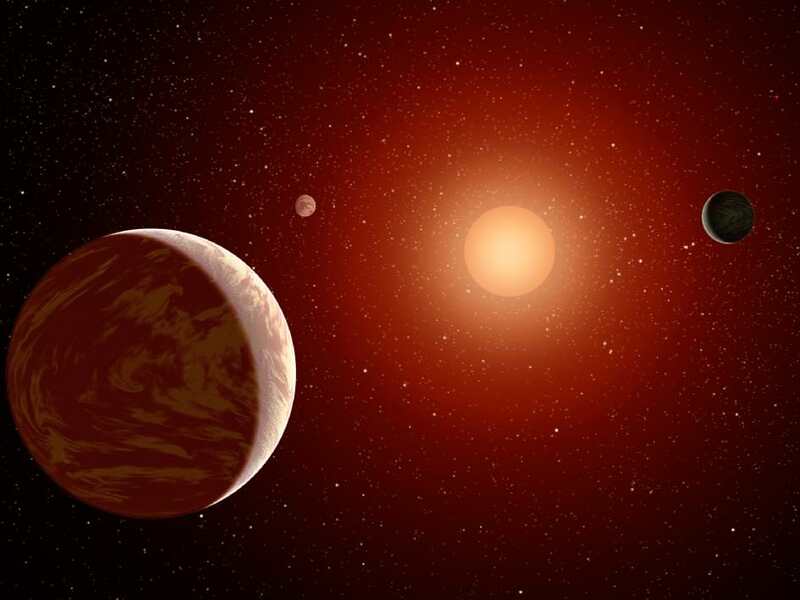 Located just 6 light years from Earth, making it the closest star beyond the Sun except for the Alpha Centauri system, Barnard’s Star dashes along at 10.3 arc seconds a year. OK, that doesn’t sound like much, but over the course of a human lifetime it moves a quarter of a degree or half a Full Moon, a distance large enough to be easily perceived with the naked eye. This fleet-footed luminary was first spotted by the American astronomer E.E. Barnard in 1916. With a proper motion even greater than the triple star Alpha Centauri, we’ve since learned that the star’s speed is truly phenomenal; it zips along at 86 miles a second (139 km/sec) relative to the Sun. As the stellar dwarf moves north, it’s simultaneously headed in our direction. Based on its high velocity and low “metal” content, Barnard’s Star is believed to be a member of the galactic bulge, a fastness of ancient stars formed early on in the Milky Way galaxy’s evolution. Metals in astronomy refer to elements heavier than hydrogen and helium, the fundamental building blocks of stars. That’s pretty much all that was around when the first generation of suns formed about 100 million years after the Big Bang. Generally, the lower a star’s metal content, the more ancient it is as earlier generations only had the simplest elements on hand. More complex elements like lithium, carbon, oxygen and all the rest had to be cooked up the earliest stars’ interiors and then released in supernovae explosions where they later became incorporated in metal-rich stars like our Sun. All this to say that Barnard’s Star is an interloper, a visitor from another realm of the galaxy here to take us on a journey across the years. It certainly got the attention of Lincoln, Nebraska amateur Rick Johnson, who first learned of the famous dwarf in 1957. Close-up map showing Barnard’s Star’s position every 5 years from 2015 to 2030. Your guide star, 66 Ophiuchi, also shown on the first map, is at lower left. Stars are numbered with magnitudes and a 15 arc minute scale bar is at lower right. North is up. The line through the two 12th-magnitude stars will help you gauge Barnard’s movement in the coming few years. Click for a larger map. Many years later in 2005, Johnson moved to very dark skies, upgraded his equipment and purchased a good digital camera. Barnard’s Star continued to tug at his mind. “Again one of my first thoughts was Barnard’s Star. The idea of an animation however didn’t hit until later, so my exposure times were all over the map. This made the first frames hard to match.” Later, he standardized the exposures and then assembled the individual images into a color animation. “Now the system is programed to take it each July,” he added. I’m automated, so its all automatic now.” Johnson said the Barnard video is his most popular of many he’s made over the years including short animations of the eye-catching Comet C/2006 M4 SWAN and Near-Earth asteroid 2005 YU55. With Johnson’s wonderful animation in your mind’s eye, I encourage you to use the maps provided to track down the star yourself the next clear night. To find it, first locate 66 Ophiuchi (mag. 4.8) just above the little triangle of 4th magnitude stars a short distance east or left of Beta Ophiuchi. Then use the detailed map to star hop ~1° to the northwest to Barnard’s Star. It’s easily visible in a 3-inch or larger telescope. Use as high a magnification as conditions will allow to make a sketch of the star’s current position, showing it in relation to nearby field stars. Or take a photograph. Next summer, when you return to the field, sketch it again. If you’ve taken the time to accurately note the star’s position, you might see motion in just a year. If not, be patient and return the following year. Most stars are too far away for us to detect motion either with the naked eye or telescope in our lifetime. Barnard’s presents a rare opportunity to witness the grand cycling of stars around the galaxy otherwise denied our short lives. Chase it.